When I was looking for guiding services in Florida I came across many websites and guides that all offered promises of large bass and great adventure. There was one that stood out to me: The Highlands Bass Angler, Dave Douglass. Aside from being a prominent column writer in Central Florida about bass fishing, he is an active participant in the Florida Wildlife Commission’s efforts to preserve and protect Florida’s fragile freshwater resources. This instantly drew my attention and I investigated further. Before deciding to employ Dave as my guide for large mouth bass fishing I had several conversations with him about tactics, tackle recommendations as well as what lakes and when we would go fishing. I had specific time frames that I had to work around. I was also looking for a serious no-nonsense angler who was as much of a fanatic about fishing with artificial lures as me. I wanted someone who was NOT a shiner guide. 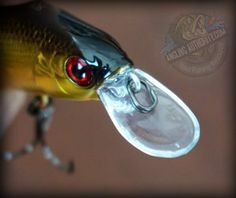 I really wanted to experience the challenge of fishing with artificial bait, much like many tournament anglers do; Dave is a prominent tournament angler in Florida as well. Little did I know, Dave was screening me during my phone conversations with him, just as much as I was screening him. Dave Douglass is a true bass guide. 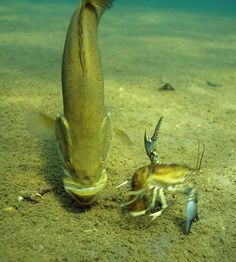 He does not use shiners or live bait to catch his bass. He employs artificial bait and takes only serious anglers that are committed to grinding it out for that one fish of a lifetime. When we went out on Lake Istokpoga for our first day on the water I was immediately struck by Dave’s honesty and his candid warnings that it was going to be a long day. 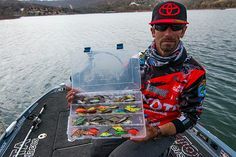 He knew what the barometer was doing, where it was going and was able to give detailed accounts of how Florida large mouth bass were going to behave. He also had in-depth knowledge of the lake’s topographical features and what was going on in the lake due to his dealings with assisting the FWC. I have to honestly say that I was not fully paying attention to the fishing as Dave relayed so much information about fishing on Istokpoga throughout the day. 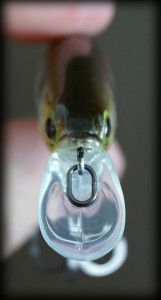 I was struck by Dave’s choice of bait for bass fishing. It was simple and effective. He used a 7″ YUM Dinger with a Gambler lures rattlin’ goop weight. I asked him if he was worried his clients were going to tell everyone about his secret bait. “Everyone asks me all the time, what did you use to catch that 12-lber? And I always tell them the truth – the YUM dinger! Most anglers don’t believe that I’m telling them the truth” he answered . During our time on the water we got to know each other quite well. Dave Douglass was very familiar with fishing in Ontario as he spent many summers in Canada fishing as a youth in the Huntsville area. He often told me “I see Canadians as my brothers”. 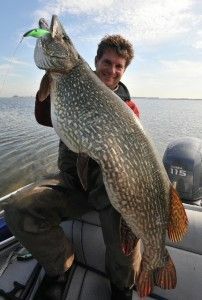 Dave also understood what a contrasting experience Florida fishing was for me, when compared to fishing Ontario lakes. I had the pleasure of fishing Lake Istokpoga for 2 days as well as a day on Lake Okeechobee and another on Lake Toho. 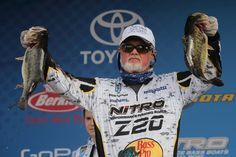 After four days with Dave Douglass my largemouth bass fishing had undergone a paradigm shift and I felt as if I had attended an intense week at the bass College. I now began to understand the biology, environmental factors as well as the types of lakes that southern strain largemouth dwell in. I felt that I was ready to go back to Florida and fish on my own should the opportunity ever present itself. That’s one of the most impressive things about Dave Douglass. Not only is he a no-nonsense man, he didn’t hold back any secrets or spots. He was committed to teaching me everything he knew without reservation during our time together.